Safe Soft copper will never scratch or damage costly machine parts. It does not produce metal splinters making it safe for the user. Rust-free Pure, solid copper will not rust or contaminate the end product. Tough interlocked loops of heavy gauge copper wire make it impervious to disintegration. Effective knitted structure keeps flat wire on edge for excellent scraping action without scratching. 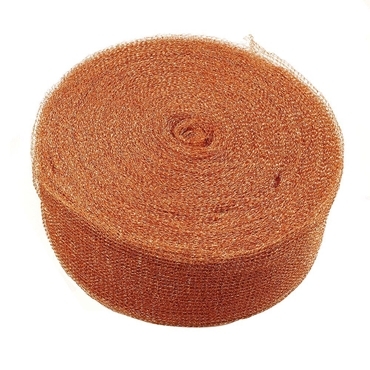 Since Jemmco knitted copper gauze is 100% metal, it can't burn or even smoke when used directly on hot equipment. Costs less than currently used household-type metallic cleaners. Efficient compared to other methods (charring, wire brushes, metal sponges). Jemmco knitted copper gauze cleans in less time - often less than one hour to clean a machine. You get two grades of cleaning power in one grade of Jemmco knitted copper gauze. 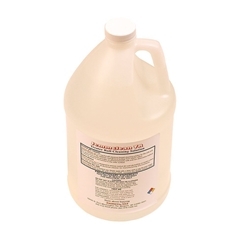 Use as supplied for normal cleaning, or turn inside out for heavy cleaning.